THE RHINOS ARE COMING!!! THE RHINOS ARE COMING!!! THE RHINOS ARE COMING!!! THE RHINOS ARE COMING!!! THE RHINOS ARE COMING!!! THE RHINOS ARE COMING!!! and an Arts Project ! Art Fundraising Exhibitions have swept the globe. 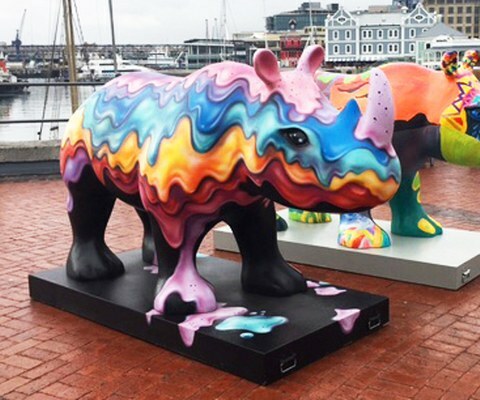 A small crash (herd) of rhinos will populate the top of Table Mountain. 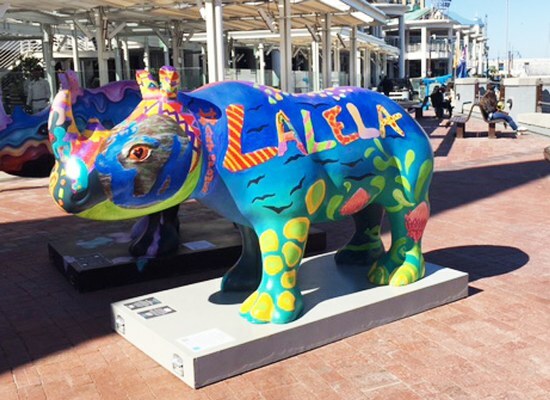 Our wine country will positively bristle with gorgeous rhinos. 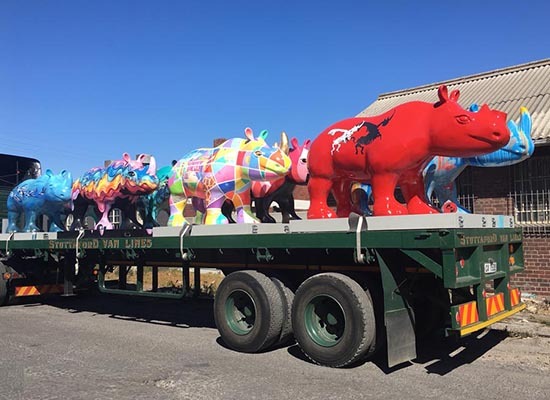 Visitors will be greeted at Cape Town Airport by a stampede of brilliant, exuberant Rhinos welcoming them to the Mother City. There is nothing like success to inspire people. 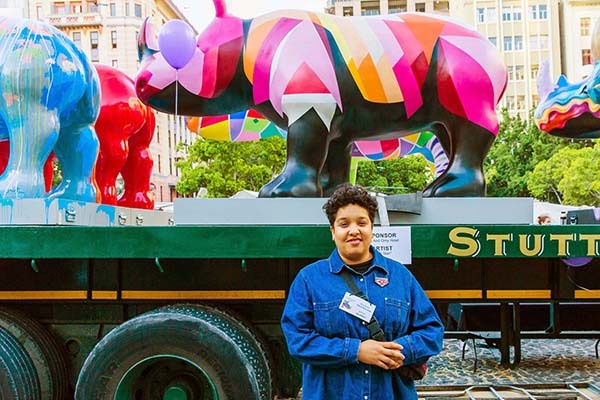 Hundreds of cities have or are hosting Art Sculpture projects to raise money for worthy causes and to bring fun and laughter into their streets and public places. 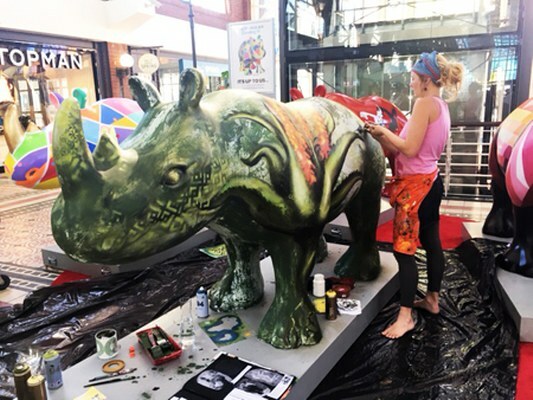 This fundraiser to save rhinos, coupled with the exciting Outdoor Art Exhibition, will generate powerful stories. The travel industry will have compelling new materials with which to promote Cape Town both nationally and internationally. Tour Groups, game lodges, hotels, in fact the entire hospitality sector will benefit from increased bookings. Each will use the program to promote and fulfil their own marketing objectives. 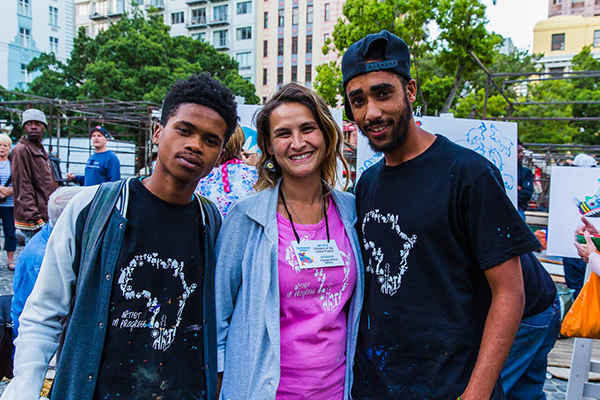 The initiative will increase employment opportunities throughout the city for the duration of the program. Kids will learn from exciting programs especially designed for local communities, schools and school-children. 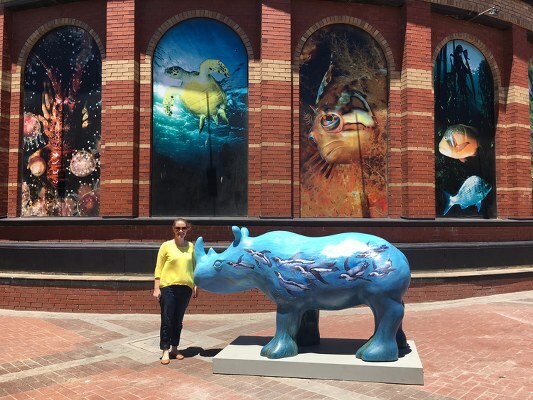 The Rhino Trail will encourage visitors to follow the map and compete for prizes by tweeting SELFIES. Those selfies taken in the highest number of different locations - will win prizes. Exciting events will take place all throughout the fun-filled program. Companies that sponsor Rhinos will benefit from powerful opportunities to spread awareness for their brands far and wide. 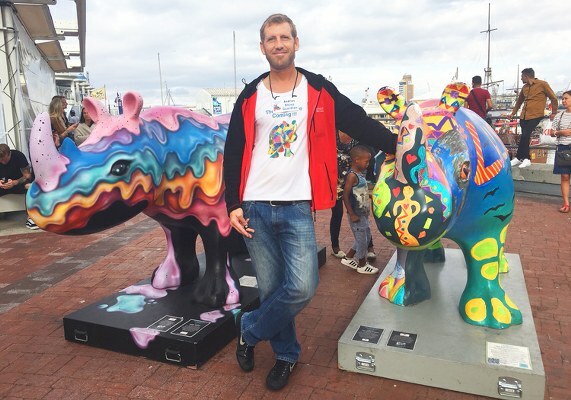 In doing so they will also be spreading awareness of the plight of our beleaguered rhinos far beyond our borders.